Dr. Regis P. Dowd Jr.
Dowd was a 2012-2016 Self Graduate Fellow pursuing a Ph.D. in chemical and petroleum engineering. He still lives by the words of former President John F. Kennedy: “Ask not what your country can do for you – ask what you can do for your country.” After nearly seven years as a U.S. Naval Submarine officer, Dowd’s goal was to work in the field of alternative energy in a way that will positively impact the United States. Dowd holds a B.S. in chemical engineering (2004) from the University of Florida and an M.S. in engineering management (2011) from Old Dominion University, and a PhD in Chemical and Petroleum Engineering from the University of Kansas. While attending the University of Florida, Dowd engaged in a cooperative education experience at the Dow Chemical Company, where he received hands-on training in manufacturing, process control, and research and development. After joining the Navy, Dowd completed the Navy’s nuclear propulsion training program to become a naval nuclear engineer. Onboard the fast attack submarine USS Los Angeles, Dowd directed the underway watch team as the officer of the deck while successfully completing two missions vital to national security. At U.S. Fleet Forces Command, Dowd headed the Anti-Terrorism Strategic Communications Campaign to improve the Navy’s overall force protection posture. In 2009, he was awarded the Los Angeles Submarine Officer of the Year Award. He was also awarded the Navy and Marine Corps Commendation and Achievement Medals. Dowd continues to serve in the Navy Reserves as an Engineering Duty Officer (EDO) and conducts research at the Naval Undersea Warfare Center (NUWC). 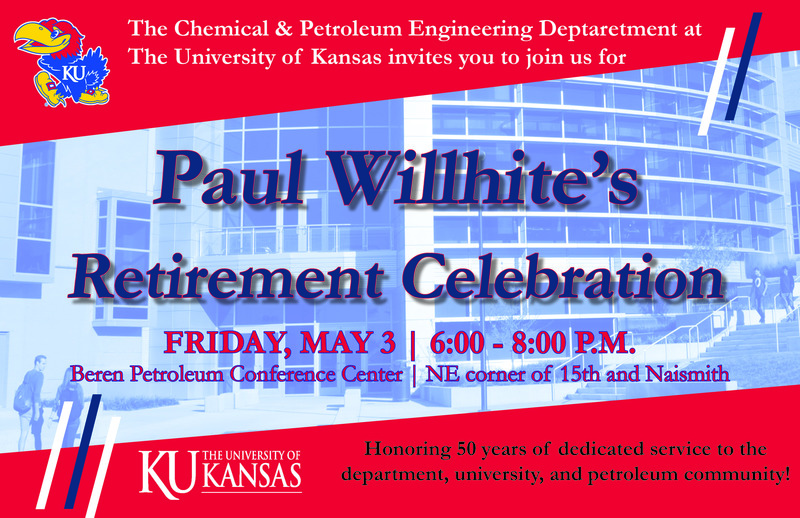 While at KU, he completed a graduate research internship at the U.S. DOE National Energy Technology Laboratory (NETL). In the future, Dowd wants to make a lasting impact on society through research in alternative energy. To find out what Regis is doing now, visit his LinkedIn profile. (Submitted) Regis P. Dowd, Jr., Vikram S. Lakhanpal, Trung Van Nguyen, “Evaluation of a Hydrogen-Vanadium Reversible Fuel Cell,” The Journal of The Electrochemical Society. Regis P. Dowd, Jr., Cynthia S. Day, Trung Van Nguyen, “Engineering the Ionic Polymer Phase Surface Properties of a PEM Fuel Cell Catalyst Layer,” The Journal of The Electrochemical Society, Vol. 164, F138-F146 (2017). Regis P. Dowd, Jr., Venkata Yarlagadda, Dhrubajit Konwar, Guangyu Lin, Guoming Weng, Chi-Ying Vanessa Li, Kwong-Yu Chan, Trung Van Nguyen, “A Study of Alkaline-Based H2-Br2 and H2-I2 Reversible Fuel Cells,” The Journal of The Electrochemical Society, Vol. 163, F1471-F1479 (2016). Regis P. Dowd, Jr., Cynthia S. Day, Trung Van Nguyen, “Engineering the Ionic Polymer Phase Surface Properties of a PEM Fuel Cell Catalyst Layer,” Electrochemical Society Transactions, Vol. 72, 1-11 (2016). Regis P. Dowd, Jr., Andrew Ying, Trung Van Nguyen, “Preliminary Study of a Reversible Hydrogen-Vanadium Flow Battery,” Electrochemical Society Transactions, Vol. 72, 11-17 (2016). Regis P. Dowd, Jr., Shiwoo Lee, Yueying Fan, Kirk Gerdes, “Engineering the Solid Oxide Fuel Cell Electrocatalyst Infiltration Technique for Industrial Use,” International Journal of Hydrogen Energy, Vol. 41, 14971-14981 (2016). Venkata Yarlagadda, Regis P. Dowd, Jr., Jun Woo Park, Peter N. Pintauro, Trung Van Nguyen, “A Comprehensive Study of an Acid-Based Reversible H2-Br2 Fuel Cell System,” The Journal of The Electrochemical Society, Vol. 162(8), F919-F926 (2015). Regis P. Dowd, Jr., Trung Van Nguyen, David S. Moore, Peter N. Pintauro, Jun Woo Park, “Conductive AFM Study to Differentiate Between the Surface Ionic Conductivity of Nafion and Electrospun Membranes,” Electrochemical Society Transactions, Vol. 58(1), 607-613 (2013). U.S. Non-provisional Patent No. 15/208,912 filed July 13, 2016, titled “Method of Forming Catalyst Layer by Single Step Infiltration.” Inventors: Kirk Gerdes, Shiwoo Lee, and Regis P. Dowd, Jr. Presented a poster entitled “Engineering the Ionic Polymer Phase Surface Properties of a PEM Fuel Cell Catalyst Layer,” at the Electrochemistry 2016 Conference in Goslar, Germany (September 2016). Presented a poster entitled “Engineering the Ionic Polymer Phase Surface Properties of a PEM Fuel Cell Catalyst Layer,” at the Gordon Research Conference in Easton, Massachusetts (August 2016). (Invited Talk) Presented a paper entitled “Engineering the Ionic Polymer Phase Surface Properties of a PEM Fuel Cell Catalyst Layer,” at the Gordon Research Seminar in Easton, Massachusetts (August 2016). (IEEE Student Achievement Award) Presented a paper entitled “Engineering the Ionic Polymer Phase Surface Properties of a PEM Fuel Cell Catalyst Layer,” at the 229th ECS Meeting in San Diego, California (May 2016). Presented a paper entitled “Preliminary Study of a Reversible Hydrogen-Vanadium Flow Battery,” at the 229th ECS Meeting in San Diego, California (May 2016). Presented a paper entitled “Effect of Br2 Complexation on the Performance of a Reversible Hydrogen-Bromine Fuel Cell” at the ACEEES Conference in Maui, Hawaii (December 2015). Presented a paper entitled “Effect of Br2 Complexation on the Performance of a Reversible Hydrogen-Bromine Fuel Cell” at the AIChE in Salt Lake City, Utah (November 2015). Presented a paper entitled “Engineering the Solid Oxide Fuel Cell Electrocatalyst Infiltration Technique for Industrial Use,” at the ACEEES Conference in Perth, Australia (December 2014). Presented a poster entitled “AFM Humidity Study of Nafion and Electrospun Nanofiber Composite Membranes,” at the Gordon Research Conference in Smithfield, Rhode Island (August 2014). (Best Presentation Award) Presented a paper entitled “AFM Humidity Study of Nafion and Electrospun Nanofiber Composite Membranes,” at the ACEEES Conference in Los Angeles, California (December 2013). Presented a paper entitled “AFM Measurements for Electrospun Nanofiber Composite Membranes for Use in Polymer Electrolyte Membrane Fuel Cells,” at the 224th ECS Meeting in San Francisco, California (October 2013). Presented a paper entitled “Conductivity Measurements of Polymer Electrolyte Membranes for Fuel Cells,” at the ACEEES Conference in Kona, Hawaii (December 2012).